Located in Scottsdale, AZ, at the base of the Camelback Mountains, the Phoenician Resort is one of the finest resort destinations in the country. 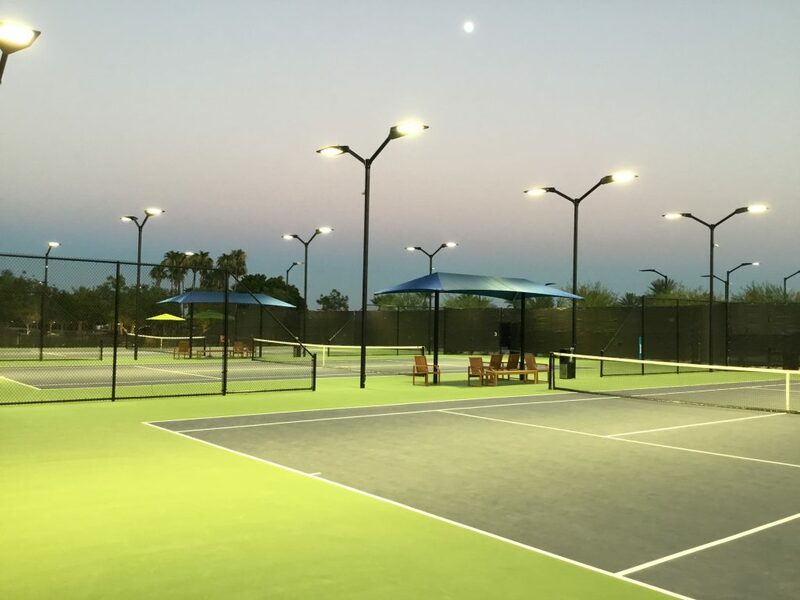 Frasure Reps supplied (56) LED CourtBlade fixtures for seven tennis courts, two pickleball courts, and a basketball court at the Phoenician. 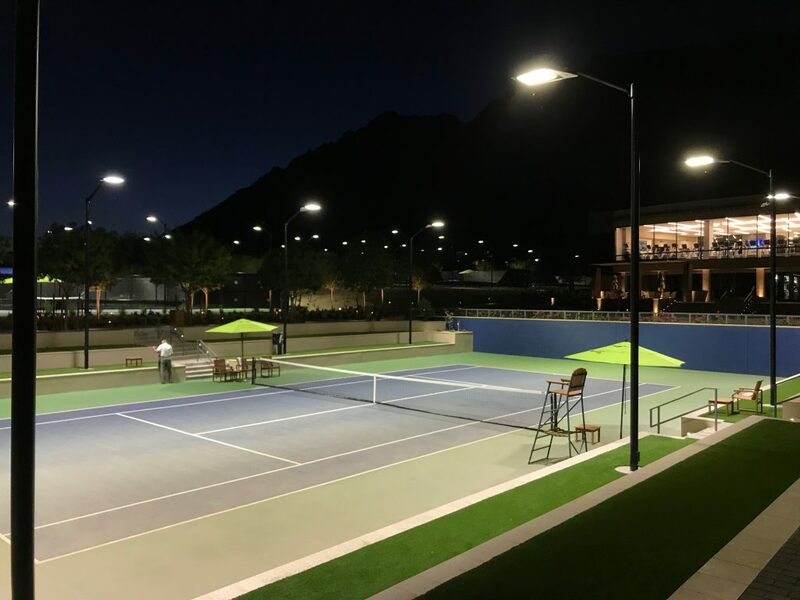 The new lighting was part of the construction of the new Phoenician Athletic Club, which also features a state-of-the-art clubhouse/workout area. All of the tennis courts are illuminated at over 50 footcandle average light levels with excellent uniformity. Shown below is the Phoenician’s stadium court, which will regularly be used for tournaments, charity events, and more. This project also utilized LSI’s AirLink Outdoor Wireless Control System. With it being fairly new technology, this is the largest scaled project that the service has been featured. With AirLink, the lights run on a schedule determined by the club/facility. This means the facility decides when the lights turn on, turn off, and from there, there is the ability for more control. The control system allows the user to decide on the brightness of the lights when they turn on, as they can either be turned on at a dimmed level or at full capacity. With this, there are motion detection sensors that will either dim or turn off the lights based on activity on the court. On two poles per court, there is a motion sensor mounted to the pole. Once the lights turn on, they will stay on if motion is detected on the courts. If the lights are on and no motion is detected, the lights will either dim or turn off based on the user’s wishes.